Tracy's Custom Gardens was established in 2000. 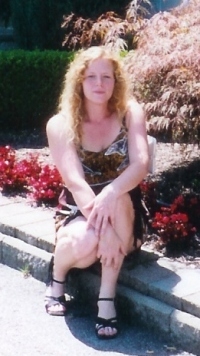 I have an AAS Degree in Horticulture as well as my 10 years of experience in the field. I have an AAS degree in Horticulture and Floriculture. 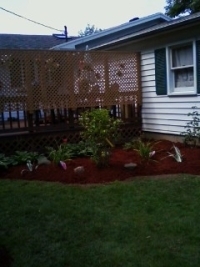 I heve owned and operated Tracy's Custom Gardens since 2000 and still going strong. I am proficient in all of the aforementiones services as well as disease and insect consultations and troubleshooting. 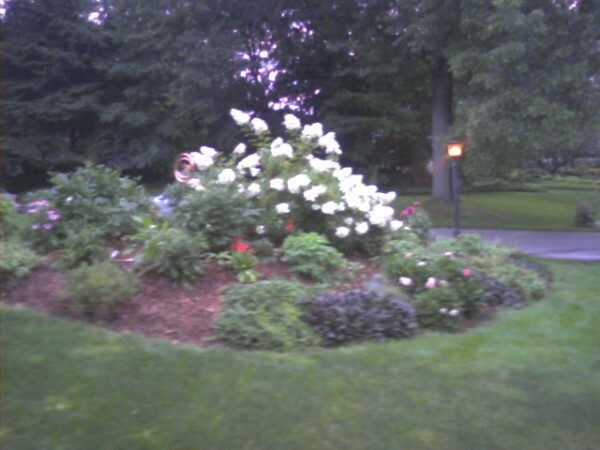 I do many different design styles, my most frequently asked for are shade gardens and low maintenance gardens. I love my work and pay particular attention to detail. I customize the gardens accoring to the personality and desires of my clients tastes, taking the time to get to know my customers and at the free consultation I determine what your needs are and how to implement them to best suit you, your family and your home. I take great pride in working for the same families year after year and watching my designs as they grow and mature. My philosophy is to create beauty and happiness for each and every client, to help them to have peace of mind in the crazyand busy lifestyles we have and to give them a place of peace to come home to. I make certain that all of my customers are 100%satisfied with my work and will not consider the job as completed unless this goal is achieved. I believe that we can make a better world and future one person at a time. By creating happiness and peace for one person or family, they in turn, will be more likely to bring others happiness and peace; and thus begins the endless chain of happiness and peace we all strive for in our lives. 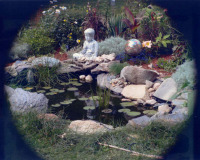 I can design and create gardens for healing, meditation, yoga and more. The use of space and particular plants and colors can truly be amazing for healing and enhance your experiences. Sacred Space can be created both indoors and out. Plants give off vibrational energy as do all living things. Tapping into the healing power of plants has been taking place for thousands of years. When beloved pets and family members pass, memorial gardens can be a very healing and therapeutic way to honor their memory and celebrate their lives. Tracy's Healing Garden also works with the Human body to treat the whole person in a complimentary, Holistc manner. *CARE certified Aromatherapist, Raindrop Technique, and Healing woth essential oils. Emotional clearing with essential oils. * Therapeutic Touch practitioner as developed by Deloris Krieger and Dora Kuntz. An essential oil massage technique based on Lakota Native healing, Raindrop Therapy is the application of powerful antibacterial, antiviral oils along the spine. When it comes to treating back pain – as well as knee pain, tight shoulders, and digestive system discomfort – it can be hard to find something that will bring the body’s systems into alignment. One aid to solving these problems and more is a relatively new therapy called Raindrop Treatment, using essential oils that have been clinically tested to have antiviral, antibacterial, and anti-inflammatory properties. Raindrop has helped bring relief to chronic pain sufferers and has been known to cause visible improvement in scoliosis. It has also been used successfully on horses and other animals. Raindrop was developed by D. Gary Young, founder of Young Living Essential Oils, based on techniques taught to him by a Lakota medicine man named Wallace Black Elk. In Lakota Native American healing practices, healers sweep a feather upwards along the spine in imitation of the Northern Lights, which are revered for their healing energy. 9 essential oils are used in raindrop: 7 single oils and 2 therapeutic blends. A person receiving raindrop lays facedown as oils are dropped up their back from a height of 6-12 inches. The oils are gently massaged in with the Lakota “feathering” motion. After the essential oils have been applied, a towel soaked in hot water is applied to the back to drive the oils further into the body. Vitaflex, a foot reflexology technique, is used to apply the same oils to the spine reflexology points at the beginning of the raindrop. This application technique,developed by Dr.Gary Young, N.D. Aromatologist, and one of North America’s leading experts on the art and science of aromatherapy. This technique involves dropping the oils directly on the spine from about 6” above the body. The oils are then worked into the spine using light strokes with the fingertips which stimulate energy pulses along the nervous system throughout the entire body. In this way, the body can be brought into balance and the energy centers can be cleared and re-aligned. It will also help to reduce spinal inflammation and kill viruses that hibernate along the spinal column, as well as help to straighten spinal curvatures over time. A session lasts 45 minutes to an hour, but the oils continue to work in the body for a week following treatment. For more information please feel free to contact me for a FREE consultation. Essential Oils work differently from any other natural substance. •	Pass easily through our skin and cells membranes. •	Diffuse through the entire body within half an hour. •	Go directly to the brain through the olfactory bulb. 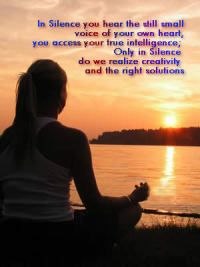 •	Affect our feelings and thoughts because smell is our most emotional sense. This is why one essential oil can do so many different things for you all at once--physically, emotionally, and mentally--with just a few drops in the air or on your skin. The olfactory bulb carries molecules and impulses into the brain area where our emotional memory is stored. Scent stimulates nerves to fire in the emotional center of the brain, but it also stimulates the master gland to release hormones. Hormones affect the fight/flight response, as well as digestion and heart rate. In this way, essential oils can affect us in many ways all at once, just through their fragrance. But essential oils also have a complex chemical structure, designed and produced by nature, which makes the use of essential oils uniquely economical! For example, when lavender oil is applied to a wound, over sore muscles, a broken bone, or a burn, it can support the body's natural self-healing processes in all those areas. Or it might stimulate the immune system or balance blood pressure, or relieve a tension headache, or help you go to sleep. And finally, essential oils can affect us just through their subtle energy. They have a presence that touches us deeply, and can change our feelings and our thoughts in an instant. This you have to experience to believe! This method is based on a small part of a complete system developed by Stanley Burroughs. Vita Flex uses the reflex system of internal body controls to release tensions, congestions, and maladjustments. When properly applied through specific application of hand rotation movements and control points, a vibrational healing energy is released along the neuro-electrical pathways to an exact point. This healing energy is created by the contact between the fingertips and the reflex (contact) points. The resulting spark of energy follows the neuro pathways of the nervous system to where there is a break in the electrical circuit. Upon reaching the break, any necessary changes are made automatically. This technique is believed to have originated in Tibet many thousands of years ago, long before acupuncture was discovered. “vitality through the reflexes” and is a complete, workable system, which, when combined with the healing properties of essential oils can release unlimited healing power. For more details see Stanley Burroughs’ book, Healing of the Age of Enlightenment. The use of essential oils in every life dates back to 4500 BC, in everything from perfumes to medicinal and ceremonial purposes. Modern research suggests that pure, Young Living Therapeutic Grade essential oils can benefit both the body and mind. Direct inhalation- simply smell them. Diffuse using a Young Living Diffuser disperses the oils (in to the air) in a micro-fine vapor. Carefully pour hot water into a bowl and a few drops of oil. Cover your head and bowl in a tent- like with the towel. Breathe deeply and slowly. Place 2-3 drops of the oil in the palm of the hand or apply directly to the desired area. If placing oil in your hand, rub your palms together in a circular motion and then massage the oil onto the desired area. If applying directly, use your hand to message the oil in a circular motion into the skin. Repeat if necessary. dd several drops of oil to an empty capsule and swallow with water. Add 1-2 drops to a glass of water or rice milk. Place 1-2 drops onto a slice of bread or add to your meals when cooking. Add 1-2 drops onto a spoon of Young Living Blue Agave and swallow. Drop directly onto the tongue and swallow. Since certain oils are very strong, use caution by first pouring a single drop onto a spoon and tasting to determine the amount to be used. Essential oils are very potent, and some may irritating to the skin. If irritation occurs, immediately apply V-6 Enhanced Vegetable Oil Complex or pure vegetable oil to the area to dilute. Please read label directions for each individual oil before using. Feel Free to call or e-mail me about any questions, Treatments or training in the use of essential oils.